Pete Hoekstra, the anti-gay U.S. Ambassador to Holland installed by Donald Trump, recently humiliated himself on national television in that country when he was caught in two back-to-back lies about his previous statements. One lie denied a recorded Islamophobic statement he made in 2015, and his second lie denied an on-camera statement he made during the TV interview itself. We’d be surprised about these Pete Hoekstra lies if he weren’t already an empty husk of a man-clown. 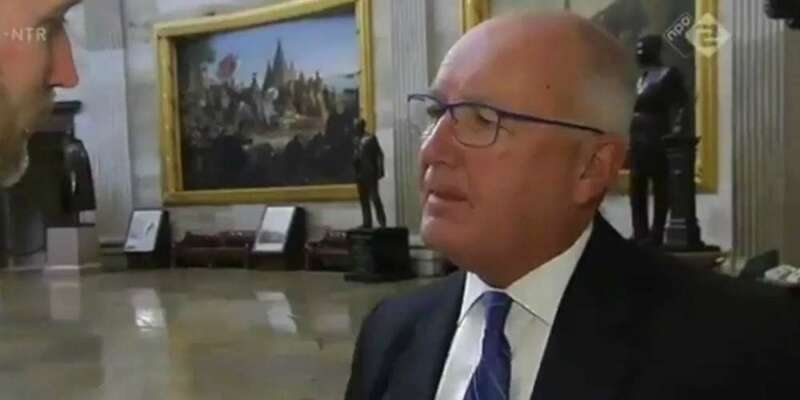 In an interview for the news program Nieuwsuur, Dutch journalist Wouter Zwart asks Hoekstra about a statement he made declaring the existence of “no-go zones” in the Netherlands where Muslims set cars and politicians on fire. Zwart looks towards the camera, and says, “No?” and quickly laughs in disbelief before continuing. Hoekstra was born in the Netherlands, but when he was very young, his family immigrated to Michigan. He has since issued a half-assed Islamophobic “apology” in which he writes that he has been “passionate about confronting the global threat of terrorism” and saying that he regrets “the exchange” during the interview — not his repeated lying, but the exchange. Hoekstra has also been passionate about denying LGBTQ people basic rights. During his time as a Michigan State Representative, he co-sponsored anti-equality measures at least nine times and received awards for voting according to the wishes of the Family Research Council, a certified anti-LGBTQ hate group. 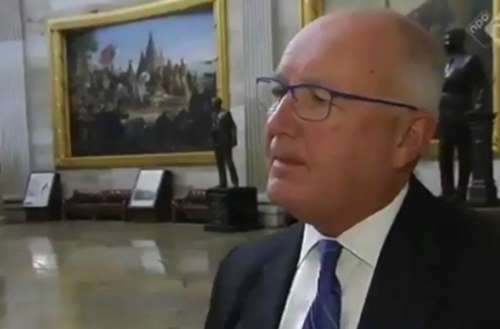 Dutch newspapers criticized Hoekstra as a bad choice for their equality-minded country at the time of his appointment to the ambassadorship by Trump.